We have some tallies as of March 31 from the dozen folks in the Meadowlands Big Year for 2013. If you're name's not on the list, please e-mail Jim Wright at jim.wright (at) njmeadowlands.gov. It's still early! Sign up now! 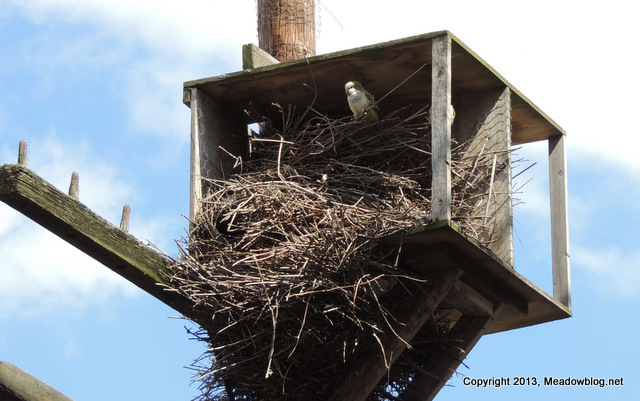 Monk Parakeets Getting Ready to Nest? Saw lots of Monk Parakeets sitting by their nests or nearby today, unlike earlier visits this year when they have been mostly scattered. This is a great tiem of year to pay them a visit. Directions are on the left-hand side of this blog. 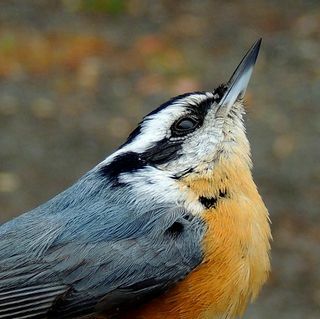 For a different kind of shot of these birds (note how they perch), read on. 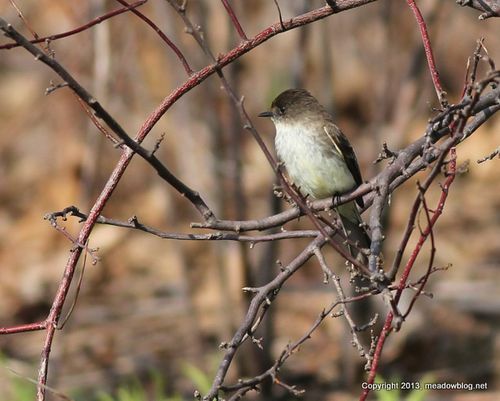 Saw this Eastern Phoebe in DeKorte Park on Monday. Hopes it stays for Sunday's free guided walk.